Yesterday Mummy made me very sad by telling that I was a bad girl. I slept in the afternoon crying. I know that I am a quiet girl and at times I do not like to do the work they tell me. But if I have to listen to all, my mother and two elder sisters, I will become mad. I’ll never please everyone, though I want to. I don’t want to remain a quiet girl. I want to be a active one, so that I can tell them what I think of them, straightaway and not cry and cry over what they tell me. God, give me courage. I am not sincere to myself. I don’t know what will happen to me when I grow up. I don’t know what is wrong and what is right for me. I don’t know which people are bad and which are good. I get flattered soon and I go after a person who flatters me. I do not like it. I hate it. First I was a quiet a happy girl. But soon when everyone started telling me that I am not smart child and a ‘Bhodu Ram’ I started to see people which I thought had good advantages were nice and sometimes I would act like them and soon I lost peace of mind. I know there is a bad moment for all. But I just can’t bear my mother, cousins and sisters all telling me that I am a ‘bhodu ram’. I hate it. Now I myself think that way and I hate it altogether. I don’t want to live in this world only. I wish someone from the sky would take me away from here to a beautiful place. I know that in this world good people are said to be foolish and bad people who tell lies and succeed in it are said to be smart. Sometimes I think(wish) I was that way. But sometimes I think that I am good as I am if they tell me foolish then I must be having a good heart and I think I have it. I have made up my mind that bang the world, bang it what they say. Have confidence in yourself. If you’re good you should be confident of yourself and what you’re doing. Do what you think is right and do not got to other people’s advice if you think that they’ll take you in a bad way. Always choose your own way, if you have no one to trust. You know ‘Life is Involvement’. You get involved with many people and you will soon find that people are not always bad. There are many good people in the world. I have found that there are even people like me who do not know what is right and wrong. This world is full of people different in every way. Those who are good have to undergo hardships and those who are bad will in future have to undergo hardships. Be sincere and true to yourself and you’ll find life a happy one. Do not hate a person, but hate their bad points. You’ll never please everyone in this world. Have full confidence in yourself, even confidence that you’re a good girl and that when you think of something good and nice of some people and if other person poisons your mind you should not hate the person. If you really like that person you should tell them frankly what others told you and you will soon know whether the person is good or bad. So, the advice is, if you keep a doubt in your mind only you will never find a solution to it. You should try to find the solution in every possible way. If you doubt a person and don’t like her, you should not start hating that person. You know hatred is for cowards. You should approach that person straightaway and tell her what you think about her and why you find yourself angry with her. You should tell her if there is her fault frankly and if there is your fault also then you should go to the person and tell her your fault and ask for forgiveness. Don’t ever think before doing it or don’t find excuses for yourself because if you do you’ll never have the courage to approach that person and you’ll know that you are a coward. Today, Guddi and Bhumpi came over to my house from 1:30. I was very happy to have them for company. I don’t like anybody telling bad about me, though it may be correct, I cry over it. I know it is not good quality but I can’t help it. At about 3 o’ clock some guests came and Mummy asked me to give them water. There were only two white glasses and were two two guests, so I took them and gave them to the guests. But then daddy also wanted water and he asked me. There were no white glass. I thought about washing one and taking but then something told me that it was all right if I took another type of glass and I took water in it and gave it to Dad. I thought that there was nothing bad in that. But when Mummy came and commented at this near all, I felt very bad. I know it was my mistake, but if Mummy really wanted me to be nice and careful, she could have told me. But she didn’t. She told it to Meena Ben. She didn’t even look at me and tell that ‘You shouldn’t have done that’. I know she is very nice and that she was very good to me when I had fever. And that she must have had a bitter disappointment when I was born, for I was the third daughter and she told me that she had to undergo many hardships in order to make me grow. I must not forget this and must remain loving her, for giving me birth. I know she likes me, and I just think she doesn’t because she is disappointed in me just as I am with myself. Today when Guddi came I found that she was more happy and liked my sisters more than me. But I like her. I know she is just like me, she doesn’t know what is right, what is wrong and when she sees someone disappointed she feels it is her own fault. When I found that Guddi-Bhumpi are no longer interested in me, I lost my mood and from that time I was weak. Then Malay and I fought and I had a chance to cry out, which I had kept inside me for a long time. Mother came to console. I was happy. When Daddy came he also asked me the matter. I want somebody whom I can tell all my sorrows but I can’t find a person capable. It maybe because I am not capable also of anything. I don’t know what . I feel like I don’t know. But I feel awkward and I wish I was not born. I am bored with life. God, help me. I don’t know why I can’t be brave enough to face the world and I feel shy. But I think I am no longer the shy and quite girl that I first was for I know that not one person in this world is fully perfect and if I have done something wrong why should I make myself frustrated and think that I am a failure and all the time think that the person in front of whom I have done something wrong will tell everybody about me, all stories and thus I’ll get a bad name. But just think that as if people have that much time as to all the time go on thinking about you. There are many, many things that a person has to do and he soon forgets your weak points and you can always win the person’s confidence back, by thinking over your bad point and trying to be good. I don’t like anybody in this world. No one understands anything and as long as I know, all my relatives talk on the back of a person, bad about them and in front of them, they be like saints. I with my full heart, hate such kind of person and I can never be good to a person, who I know is this kind. But I never show my hateness, I usually smile at them, and I think that my this weakness is taken advantage of and they feel for granted that I am a stupid, never thinking child and they do not pay attention to me. They do not even say ‘Hello’ if they meet me with my family when we go out. It is not that I do not want to pay attention to them BUT I want them to pay attention to me, because I always welcome anyone who comes inside my house with a broad smile and I can never think of leaving a small, weak person and not paying attention to them. Sometimes I think that I am encouraging them to go on doing the same by smiling at them. If they are no longer interested in you, why should you be interested in them. Just leave them. First see, if they smile first, then only you smile otherwise don’t bother to do so. First, children were said to be so innocent and nice. But nowadays mostly all the children are so smart. They all are selfish and are ‘Jiddi’ and no one is innocent except some like Hemang, Mehul etc. Though children’s nature is only Jiddi and they want everything. Nowadays children are spoilt by over ‘Lad’ and the children’s want everything. The small, small children’s are all smart and they no longer are innocent. I hate most of the children of modern times. Some parents of children want their children to be very smart so they do all artificial methods. Children, most of them are no longer taught manners and they don’t know how to treat people and how to act before them. They have no manners. All the people who I like are usually people who like me. But I think that they are surely nice because they are not like the common people who are people who think that they should not take care of a person who is weak, who can’t tell other people how they feel of people. This people like gossips and I am the one who hate and hate gossip. Cowards are people who can’t bear people thinking bad about them and so they talk bad about that person. I also may be the same, but I’m not telling about people to other people but I’m writing them so that at least I can have somebody to trust on, as I do not completely trust any person in this full world. I do not even trust myself. I hope and firmly hope and have confidence that when I grow up I will know how to handle matters and I’ll not become a gossiper living with people who have a habit of gossip. 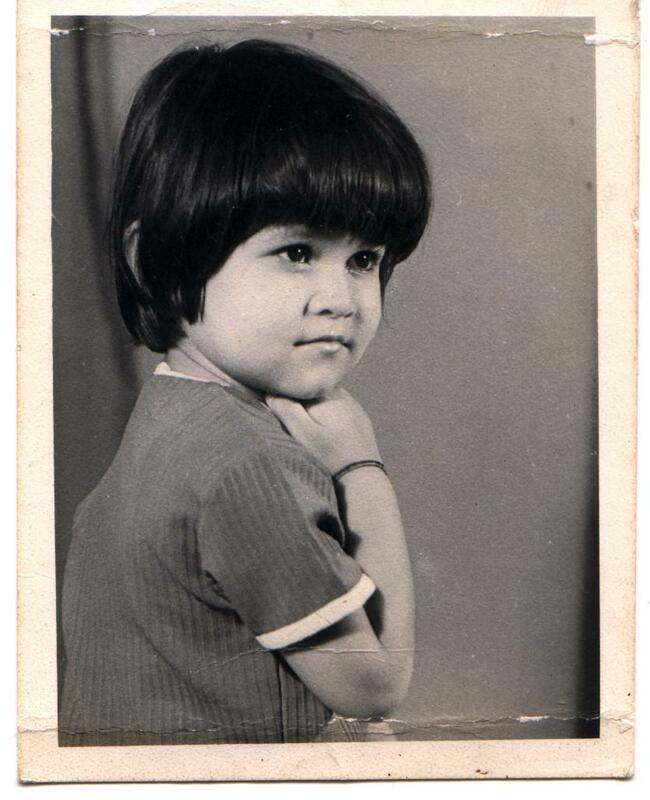 I hope I’ll remain the same when I grow up, otherwise other Vibha’s will not like me. I wish I’ll never forget my problems when I grow up so that I’ll exactly know how my daughter (If I get one) feels about her problems. I hope I’ll be a successful mother. I’ll ask Mrs. Synthia the exact meaning of life? Miss told us in Moral Science class that some people in their way to life become curious and ask questions. But when they are neglected they do not ask questions and come to conclusions in their own mind. They may get wrong and get a wrong meaning of life. I’ll ask Miss the exact meaning and know the exact meaning of life. Miss told us that at our age we all have some kind of problems as we are not settled and our characters are not formed. We feel out of place. Sometimes we feel like screaming and sometimes we feel like doing all awful things. I have seen that the girls of my age, who also have bigger sisters but they are not thin like me. Could it be because of my ‘Swabhav’(nature). Am I really the type which gets envy on everything. But I, whenever I see the advantages that my sisters receive from everything and they are so nice and everybody takes care of them and respect them and especially because when my sisters are around mostly all the people do not at all take care(notice) of me, I feel very sad, and I can’t help but pity myself. I wish somebody would help me. I’ll ask Miss Synthia. I’m sure she’ll tell me if this is a bad character of me or it is common. Mostly, when I see girls in the school, who does not have something characteristics, I feel very sad for them, especially if God has given them to me. I feel sad for a person who is suffering because she does not have some talents and she has reasons for this. I feel so sad that I can’t but blame God for it. God didn’t do justice to the people of the world. I have seen some people who have everything and some which have nothing. It is very sad. Ig God for his happiness wanted to make this world, he could have done justice to all the people. I have seen that usually the biggest daughters in the family are the best brought up and they are respected by their family and have also by the relatives and above all they are also beautiful and they also have the correct characteristics of a girl. While the smaller ones are usually not so much brought up nicely and so they are very soft-hearted, they are not paid so much attention and so they do not know what is true attention. Such children’s change into two opposite ways. Some children use bad ways or some uses good ways(rarely) to get attention and mostly all this kind of children go deeper and deeper in their shell. This child is very sad and it is all because the parents have been neglected enough to know their own child and first of all they should not give birth to so many children if they can’t take care of them. The poor child is very sad as it gets no attention just because it has to live in this world. Is this justice? The bigger child gets all the attention and as it grows she becomes a good girl but the smaller one just because of God’s justice to her may becaome a bad or an unsuccessful girl. In Jain religion, they say that God does justice according to our previous life’s sin’s and deed’s. But I don’t see any aspect connecting our previous life and present life. Really, I don’t see any justice in this world at all. Life is boring. There is no one whom we can trust completely. Isn’t there anyone who is perfect in this world. I am going to search for such a person. If I want to find such a person, I’ll have to be perfect myself. I should be frank and honest with people. I should not say wrong things about the person but the truth to the person and soon I’ll know who is good and who is bad. Today we got papers and would you believe in Algebra I got 29 ½ out of 30 and in Biology I got 8 ¾ out of 20, very very poor marks. I felt very sad. But I didn’t get time to think of myself. Raji had failed in both the subjects and she was very, very sad. Even Bhavna failed in two subjects, but she took it bravely and I didn’t see her cry at all. Though when I first told her she became little weak. But I think that when she cane to school and knew that many of the girls had failed she got used to it. But when Raji got her Biology paper and when she knew that she had failed, the fear of her father and brother shouting at her and even the principal telling her that being a monitor you are failing made her very sad. She didn’t want to cry, but she couldn’t stop crying and thinking. When she went home, no one must have been there, no one must have cared for her and so she felt very sad and so her wounds became more and she phoned and told me that you be my good friend. I don’t want anybody to break mine and your friendship, not yours and Bhavna’s friendship. She started crying on the telephone. I couldn’t but feel very,very sad for her. She thinks so much, that she doesn’t pay attention to studies. She may’ve got an unforgettable mind but I think that if she stopped thinking so much then she could pay much attention to studies. But she herself says that she can’t stop thinking. It has become like an hobby to her. What is Life? Miss, please tell me the correct meaning of life. I may be the kind of girl whom you told that day that if a girl is not answered her question, she starts thinking herself and this leads her to conclusions which she doesn’t know is correct or wrong. Miss, I have jumped to many, many conclusions concerning life but I don’t know exactly which are correct and which are wrong. Please help. Miss, I’m giving you my own example to show how injustice prevails in this world. You know, that if you’re loved you know to love. There are three elder daughters and one younger brother in a family with their parents. The eldest daughter is very good-hearted. If you’re loved you can love. She gets everyone’s praises and love. And everybody tells her smart, though she’s but a little smart. She thinks great of herself. She is naturally brought. As a first daughter she is loved and has everything natural in her. The second daughter is really very, very smart. She understands others feelings and is very good hearted. But she is not so naturally brought up and so she does have some moments when she feels out of place. But she tries to understand everyone and she has everyone telling her she is smart and she really is. Both the sisters are said that they’re very smart and the first one becomes proudy and doesn’t care for anyone except the relatives at whom she smiles and shows off that she is smart so that she can get a good husband, which she is sure to get as she is good-looking. The second daughter is not so good-looking, though at times she looks beautiful, she’s the best among the three but what can the third one do, if she wants to be good but as she does not know what is right or wrong she doesn’t know what to make of this life and she is a very. very sad girl. The third girl is very sentimental and she believes everything she reads and all people tell her. She is not smart. She has lost confidence, when everybody told her so. She is not at all brought up naturally, as when her brother was born, she must have been trodden down. She began to envy her sisters who were treated so nicely by others and she herself was not even looked at by her relatives. YOU LIKE A PERSON WHO DISLIKES YOU. YOU RESPECT THEM AND THE ONE WHO LIKE YOU, YOU TAKE THE PERSONS FOR GRANTED AND NO LONGER RESPECT THEM. THIS IS PURE INJUSTICE. Her sisters didn’t at all respect her friend’s and didn’t like them so much and even sometimes if she tells them to take her friends for movies, the bigger one tells no and when the same friend insulted her when she was talking to her sisters and respected her sisters more than her she knew that there was no, no, no, no, no, no, no justice in this world. Everywhere she saw there was injustice. The bigger sister who was naturally brought and who was from starting loved was loved till the end and the smaller one who was not loved from the starting was not loved till the end. The youngest brother was very nice to the third sister, though it maybe only because the third daughter disliked him. I didn’t write so many days as I had hit upon a new theory and was enjoying it. I tried to be nice and work cheerfully for mummy and sisters and they equally helped me. I think that they somehow came to know that I was so sad and now they help and talk nicely to me. I don’t know how I told them bad. They are sports. They are very, very, very nice. Even my mummy is very nice. I don’t know how I misjudged them so much. Now I know the path of happiness. YOU MAKE THE ROAD EASY FOR OTHERS. AND YOU WILL FIND THAT THERE IS A FLOWER OF HAPPINESS IN EVERY BUD OF UNHAPPINESS. Now, I only hope that when I grow up I will not forget the problems I had so that I will not misjudge my baby. I’m sure I’ll be able to make a good girl out of my baby, if I marry and get one. NOW I KNOW THAT IF YOU BE CHEERFUL AND HAPPY AND ALWAYS BE SATISFIED, YOU WILL FIND THAT YOU’LL BE EVER HAPPY IN THIS WORLD. What is Life? It is just like an object to handle by us and one day it’ll leave us. Just enjoy it, don’t take it seriously. If somebody insults you, you should make a move that will make the girl never able to insult you. IF SOMEBODY DOESN’T NOTICE YOU AND DOESN’T PAY ATTENTION TO YOU WHY SHOULD YOU BE ZEALOUS OF SOMEONE IN YOUR MIND. YOU SHOULD TRY TO CALL THAT PERSON AND YOU WILL KNOW THAT YOUR SITUATION IS NOT BAD AT ALL. If the person doesn’t talk to you and deliberately tries to insult you, you should know there is something in you that he/she dislikes and you should try to overcome it. ALL PERSONS IN THIS WORLD ARE NICE IF YOU ARE NICE. If you don’t succeed in something if you are really, really have tried, you know that, that thing is not for you and you should try in some other things. If you keep yourself busy, always helping someone and talk nicely to everyone around you. You will be soon liked by everyone and will be loved by one and all. The world is a better place to live in if all men knew that he is a little being whom God has made to live and give happiness to others. A person is free and absolutely free to do what he wants, except that he has duties to go over. A person is free to do whatever he wants. Even I’m a free person and can do whatever I want, why should I be bothered if someone insults or says something to me. If I’ve confidence over myself and know that I’m taking the right step, why should I be bothered by people. All persons have a right to live and act as they want. If someone wants to live by insulting others, what can you do except tell them that what they’re doing is wrong. I’ve thought that as an individual I’ve duties to be done to my parents and everyone who loves me. So why should I be selfish and think only of myself and think that when I did this I was wrong and while doing this I was right. I have a pretty good idea in my mind. I will live cheerfully in this world and try to take even my bad points as better and try to make them better. When I grow up I’ll help Daddy in his shop and not make him feel sad that he has to still see that he has to make all three of his daughters marry. I’ll show him that daughters are as good as a son. Give the world the best you have and you will get kicks in teeth. Give the world the best you gave got anyway. If you respect the old man, God will give you respect. I have gone through my full diary today, as I was feeling disheartened today, because of MeenaBen. While going through my diary I find that I was so much different when I started my diary and am so much different now. First, I was so much goody, goody girl, who didn’t know what the hell to make of this world. Now, I am not at all goody, goody. I know when somebody insults me and I try to insult them back. You may tell that I am the shrewd type, but I must confide that it gives me natural peace. But now, though I’ll try not to insult a person but tell them their fault in a way which they will not feel insulted and will all the same reform. I will not take a wrong step for which I’ll have to repent for my life. I am from a good home and I should remain good. I should not for the sake of myself, do exactly what my mind tells. I have duties to perform. When I grow up I’ll marry and have husband and children and if I am not pure, even my children will be the same and so I should always do what is good and I should remain pure in heart and soul. I should always try to act good in front of people and never act foolish. DO EVERYTHING THAT YOU FEEL IS CORRECT AND NOT TAKE A STEP WHICH YOU KNOW IS WRONG. Today Manju Masi came to our house to have dinner and while talking she said that didn’t we feel that the world is full of selfish and cruel folks and that it is coming to an end. I was greatly impressed by the statement and felt guilty that in order to find happiness, sooner or later even I would have become like the same selfish people. I don’t know why I want happiness in a faulty way. I can easily find happiness by giving others happiness , not by giving unhappiness. I should never be selfish and always go out my way to help other people.Manju Masi said that there would be Pralaya(water coming to land) in the coming two-three years and except some people in India, the whole world would be in water. I thought that there are bad people in India also. I myself, I think am bad and selfish. I feel that a certain person has a bad impression of me and so I don’t smile at him or her and even though that person might not be having a bad impression will have one and I would only be blamed for making myself sad. If I feel that a person has bad impression of me, I should go forward and make them feel that you are nice. I you are really nice why will a person have a bad impression of you, until there is something really bad in you. I do something, then, when I see people having objection to that and see that people are having objection to that, I feel that the particular person thinks that I am bad and so I feel awkward. I DON’T KNOW WHY SHOULD I FEEL BAD IF I’M TAKING THE RIGHT STEP, WHICH I SHOULD ALWAYS TAKE, IF I WANT TO ACHIEVE SUCCESS IN LIFE. I know that this is my life so I should do everything that I feel is right. Why should I see my angle in life with another one and do what the other has done in that particular situation? You must do what you think is right and do exactly that. In this way you’ll find confidence in you and you will find that you can really be a genius if you like. I don’t know why I’m running after happiness, when my happiness is readily waiting for me in other’s happiness. I know that when I’m running after happiness, I never get it and when thus exhausted I sit back, I find happiness is running after me. So, I know that if you run after happiness you will never find it but if you wait patiently you will find unexpected happiness everywhere around you, especially when you have given happiness to someone. If you want happiness, give others happiness and you’ll find the same inside you. The world is full of people running after happiness, trying to achieve it by all means. But what do people know that the key of happiness is lying around them and they can find the key if they have the ability to find it. IF YOU RUN AFTER HAPPINESS YOU’LL NEVER FIND. HAPPINESS WILL ITSELF COME TO YOU, WHEN IT KNOWS THAT YOU RIGHTLY DESERVE IT AND THAT YOU HAVE CHASED IT ENOUGH. No man can be happy throughout his life, for, if so he will be spoilt and will not at all be bothered about other people and thus happiness will go away from him. Happiness stays with an unselfish person and moves away from a selfish one. If you are satisfied, you will find it wherever you want it. Our Diwali vacations have started and I’m enjoying it. Yesterday I went to a party and I got two prizes. I was very, very happy. One of the prizes were for well-dressed and one was for lucky-draw. I was really lucky for the second one. I was really, really happy. I thanked God. Bhavna and Kavita are going on 21st to Muscat and I feel that I’m going to miss them. I hope they’ll have a good time there and will come back safely. Karuna is coming on Wednesday and I’ll enjoy with her and my time will pass. But I’ll have to hide my diary, because she knows I have a diary and once she even read it. So I’ll have to hide you before she comes. Mrs. Synthia got a baby boy and I was very happy to hear it. She was on leave during our exams and long before and I hope she comes back after our Diwali vacation. I feel happy for Mrs. Synthia’s child for having such an understanding and loving mother. I really missed her during her leave and I thought that there was no lone to lead my path and that is why I am in such a mess in my life. I hate life but I’ll live it and if I’m discouraged I’ll encourage others to live happily..
Meeta Ben is very, very nice(to me). Whenever I’m sad, she tries to make me happy and even offers some of their dresses while if I sit sad, Meena Ben will all the more shout at me. It may be because Meena Ben is not feeling well and that she is as good a person as anyone else. I must remember that : EVERYBODY IS NICE IF I’M NICE. I came from Karuna’s house, because I stayed there instead of her coming to stay here. I enjoyed Diwali which is now finished. I noticed that when many relatives came, they were all decent and they wished my ‘Happy New Year’ There was no one who did not pay attention to me. I was happy and it must be because I am happy that all try to be nice to me. I must remember that if I’m happy then everybody will be happy with me. I usually used to get afraid of people and sometimes used to feel ashamed of myself. But now I feel that why should I get afraid of someone. No one is perfect and you should not poke your nose in everything. We should do whatever we think is correct. We should act decently to everyone and will be happy. Everybody is living in this world and everybody has a right to live. Why should you get afraid of somebody and think others are superior. They are as good a person as you are. Everybody in this world is good, bad, having weak points and that no one is perfect. If we are nice than all are nice. If you are happy always and keep others happy then you have found the true path of happiness. I have read a passage that says that If you do right, then people will always take it in the wrong sense, but anyway we should be good. When I went to Kalu’s house, I saw that Kalu led such a nice and free life. She looks beautiful and acts nicely and has good friends. But she ruled over her brothers and sisters and surprisingly I found her brother and sister paying more respect to her. She led a free and happy life. I don’t know why God didn’t give me courage if he wanted to give me all the insults and worries. Sometimes I think that why should I worry. I should just live in this world and sooner or later I’ll pass away. Why should I worry about everything somebody tells me? Why should I believe everyone. I should just have confidence in myself and bang other people of whatever they say. I know that no person can be perfect in this world and everybody can’t have happiness all the time. I must be satisfied with what I have and be always happy in happiness and even in sadness. I know that I don’t like to talk so much and am not at all smart. But nowadays I’m trying hard to improve, but some selfish people have no feelings for others and they always, whenever they find a chance never miss to tell me that I’m a ‘Ghoghi’ which means not knowing anyone and anything in this world. I wish during such situations God could give me courage so that I can answer back but instead I just start crying. I hate life. I hate life. I don’t want to live. But I’ll live. Why should I not live. God has given me life. If I’m in such a mess it is because of me and my foolishness ( of being a good girl). I’m sure that if I was a bad girl everybody would tell me smart. But I don’t want to be happy by becoming bad. Now, I’m not going to get afraid of any human. Why should I get afraid of anybody. All are living in this world. All have a right to live. Even I have right to lead a happy life. So why should I not live happily and behave as God wants me to. I should be nice and happy. Be nice and happy. Be nice and happy. Be nice and happy. Sometimes when I don’t look nice I loose all confidence in myself and all at once my behavior changes. I don’t like to be nice because I think that people will only insult me and do not pay attention to me as I don’t look nice. But I must remember that if I’m happy and nice everybody will like me and then only you will look nice. I know that HAPPINESS IS THE BEST BEAUTY. I can’t understand people and I can’t make up my mind as to which people are nice and which are bad. It may be because I’m not smart. But then, I don’t know how to become smart so I’m sure that till I cant know people I’ll always be in a mess and never attain eternal happiness. I hope I find the answer soon so that then I can help myself first and then others. Sometimes I feel as if I’m the biggest failure in life. I don’t know what the correct meaning of life is. I don’t know what to make out of life. I can’t be good to others though I want to because no one has been good to me. Now I think that if someone may be good to me I’ll not be able to recognize it for I’ve forgotten what good is. No one has been good to me, I’ve not been good to anyone and I’m sure that further on I’ll not deserve to be good or receive goodness. I’m a true failure. I suspect everyone and everything in life. When sometimes I’m happy at school I become almost free and then when I come home there is always something wrong. If Meena Ben is happy then Meeta Ben is in a bad mood or if both are in good mood then Mummy is angry. So I’ve to listen to all three of them and so sometimes or the other I can never go on being happy because I will always be insulted by any one of them and the worst thing is that then at that time I loose all my confidence that I had gained during school time and then again I am sad, then again when I go to school I’ve a little nervous time then I come over it and again I’m happy and then again when I come home from school again I become and then it goes on, Sad – Heppy – Sad – Happy. I don’t know if in this condition a weak person who doesn’t want to hurt anyone’s feelings live? Of course she can. But do you know what kind of life. A sentimental life which will guarantee her no happiness at present and nothing in the past. I’ve always noticed that the eldest daughters eg. Meena Ben and Guddi, they are always selfish creatures who always think of themselves and therefore they are happy and are always beautiful and always like by others. This people become proudy’s and look down at other people who they are cunning enough to know are not good for them. The eldest daughter think as if they are great as they are eldest and have therefore know more than the others, but the youngest doesn’t know as much as bigger two and so the two (who forget their old days) think of the youngest as just a mean of experiment where they can be angry with whom they can be angry with when they want to and happy when they want to. They think of her as a non-living object with no life. And the smaller one is foolish enough to bear it but I’m sure that now I’m not at all the goody-goody girl. I’ll raise my voice. I’ll try to make people nice and do as I want to (i.e. be nice) and help people. Why should I bother what people say. This life is mine and I’ll do exactly what I want to do with it. I’ll be nice and helpful to people and never be like the common people who want happiness and so run after it forgetting their true principles. I’ll (from now) not run after happiness but after my principles. I’M SURE THAT THIS WILL MAKE ME HAPPY. Compliment : Kailash Ben told me that I’m the smartest of all my sisters. I was very happy. Confession : Meeta Ben confessed that they surely must be selfish. Happiness : Whenever I think that I am free and that this is my life and that I should direct it nicely, I find myself free and happy and nice. It seems months when we did depart. We remember your kind, gentle and happy face. But what can we do? We go over your letters and pictures and think all the more of you. It is a nice poem and I’ll write it to Harsha Ben. I’m sure she’ll be very happy. Harsha Ben is such a nice sister. I hope she was my true sister. But she is just like one of my best person and dream sister. I like her. Nowadays I’d been very happy as I was somewhat sick and so I hadn’t time to think much of my life. But as everytime, I ‘ve always had sadness. Once by mistake I told Malay that he was very good in everuything. I can’t help envy Malay who is so carefree, everybody loves him and cares for him and runs after him even though he never bothers to think of anybody else but himself. He is good in all kinds of sports, he is active and smart and intelligent but he has very little common sense. He doesn’t think when he is insulting someone and that is the worst part. Once I told him good and then he started telling me that I was good-for-nothing and all dirty words. He is so ‘ladla’(pet) of mother that he does not think of anybody in any kind of thing and has grown selfish. I don’t know how I am as I am just now. I think that I’ll never be happy in this world. Whenever I’m happy, I’m always afraid of losing it. I lose my confidence and surely I lose happiness and don’t have peace in my heart. I’m never satisfied with anything. I’m not at all sincere to myself. I do not like myself only and so I can’t like anything. Once Rupa only told me that I do what others want me to do and not what I want to do. As a fact I have forgotten what I want to do in life and I’m sure that I’ll end myself in a mess. NO, I’ll not let my life be a mess. I’ll try to be nice and happy. What is the matter if I’m not smart. Everybody has weakness and everybody has talents. I’m sure I’m clever in studies and I’ll study hard and try to shine in that talent so that I won’t be a good-for-nothing girl. I’m not going to marry when I grow up. And if I do I’ll marry the one who is nice and not smarty and thinking great of himself and nowadays all boys are so stupid they think only of themselves and let others go in the gutter. They think great of themselves. Boys think they are greater than girls in I don’t know which way. I’ll never bend low before any boys or think of myself as low before them (why should I?) I’ll always act great and I’ll never allow woman’s to be called lower. I’ll not be low character and always try to be high in good and fine ways. I’ll not be proud, but just confident of myself. I must remember that this is my life and that I and only I have the right to make a mess of it or make a success of it. And only I’ll be responsible for what I’ll make of it. BE CONFIDENT, NICE AND HAPPY AND YOU’LL BE A SUCCESS. Today and many times before I have thought and come to conclusions that I myself don’t know what I like and what I don’t. I don’t know how to know if a person is good and whether he’s bad or even whether I am doing or being a good girl or a bad girl. Totally I don’t have confidence in myself. But do you think anybody will have confidence in them if they have passed the most difficult time of their life in the way I have passed (with everybody telling me a Bhodu Ram and no one understanding me) Now I’m completely misguided and don’t know what is right or what is wrong for myself. I don’t know what is happiness and I can never bring complete peace in myself. I’m always bothered about something or the other and can therefore find no peace. Today Mayuri came to our house and while talking to Meeta Ben said that when she was small, she used to cry at everything(just like me) said to her and that when somebody told her that in this life, people will go on making you cry until you cry. And then Mayuri said that she thought that what the use was of crying and so she lived wise. Mayuri is very clever and intelligent (she has talent). Meeta Ben said that even she used to feel bad when mother said something, but, she never used to cry and therefore she must be so understanding and loving. Now, even I think that what is the use of crying and thus spoiling your life? Why should you think that your life is worthless. If it is of no use to you, you can always dedicate it to help others who are sure to need your help. Today Mummy said that when she was small even she used to cry over everything. I wanted to ask her why she couldn’t remember her those days (But I couldn’t). But she said that now she had become hard with life and had seen the bad side of life also. She said that every mother is very glad to see her child growing into a nice child and her dream child and when the child does not grow as they had expected them to, then the mother is very sad. That time I made up my mind that I’ll try to become someone nice (though I’ve always thought and will always be nice) and be good to mother and try to understand all people’s feelings the correct way and help them, kindly and nicely, so that I’ll also be a girl like others (who have seen the bad side of life and still want to help people who are needy). Nowadays Malay thinks very much great of himself and I think that because of the way he is brought up he’ll never be the nice and intelligent brother I’d thought him to be, but a rowdy and smarty one (whom I’d hate if he remains the same). Meeta Ben is the best, best, best, best, best, best person and I hope she remains the same and I’ll love her the same as I do just now. Raji is also nice. Daddy and Mummy are nice. Ketan Bhai is nice. Guddi is nice. My God, everybody is nice. Even I feel that I’m nice. Today there was a movie ‘MILI’ on TV. It was very nice. A heroine who is very nice, likes children and in their building also all people were friendly, just like in ours, and many children and they used to play and enjoy. Mili, the heroine was free and nice. I wish I could remember her always and be nice, so that I could know that nice people are treated nicely and that if I would be nice, I would be happy. But I don’t know why, when I’m nice I am so for few days and then again I automatically become bad for two-three days and then again I am nice. I am happy when I am nice and sad when I’m not. But I think that when I become unhappy, then it is that, that I become bad. I wish I could be happy forever and thus be nice forever. I know only I can do it and I’ll never stop trying. One day I’d seen the movie ‘ Anand’ which was the movie of a young boy who was to die in a few days and then also he was gay and happy. I have so many days to live and then also I am upto no happiness. You have some moments to live your life. Be happy, make the most of it. Hide your troubles be happy. Life is a song, sing it, laugh and murmur it. Sadness is confidant in you life. O dear heart, please do not get scared of sadness. One day people will understand your story. Today was Meena Bens’ birthday and we went to see Cricket Match at Wankhede Stadium between India and England. We had lots of fun. Today India won. It was the 4th day and because of the superb balling by Kapil Dev and Madanlal of India we won. KapilDev got man of the match and I really thought our Indian team was very nice. There was one English man who had great sportsmanship and though his team was losing he was encouraging them. I think that the Indians do not have manners and I feel that the foreigners are somewhat superior than us. A decent foreign person thinks of everyone and wouldn’t ignore anyone, as most of them do here and I am the one to understand that the most. I should be nice and friendly to everyone and be good to everyone and soon I’ll find that everyone is good to me. I wish I could remember all my life that I should be nice and happy, smile at everyone and go out of my way to help other people. I will help only people who are really needy and not those who are lazy to do something though they can do it. I should be reserved and good. I will smile at those who smile at me. I will be good and I’m sure that I will get good from others. I will think twice before I act. Whenever I’m sad I will find some small children and I will be good to them and I’m sure that they will make my mood happy again. If I go out in the world I’ll find that there are many needy people who need me and I should not roam about people who don’t need help. I will remember that I can’t please everyone in this world, and if I want to please everyone I’ll please the good-good people and the bad people will not be pleased. I should be happy with the good people. I don’t know why, but I’m not at all sincere with myself or anybody else. I don’t know exactly what to feel about people i.e. I can’t understand people. I think that if I go about and not be lazy and talk with people and be nice to them and mix about, then I’ll know people and know who are friends and who are not. But I don’t know why I just sit and think about small insults people make to me and feel that I’m a sad girl and unhappy. If I go about with different people and always keep myself busy with something or the other (there are so many things in this world that I can do) I think that I’ll have very little time to think about myself and when I’ll have I’ll find myself a completely different girl and a happy and nice girl. I think that now I’m a wise girl. I can go alone everywhere. I am not lazy and like to go about and meet people. I don’t feel awkward so much. On the whole I know how life is and have settled. When I think how I was at first I feel that so much I have changed ever since people had started telling me I was not smart. I don’t know even today how I am. But I like how I am now and I’m sure I’ll like myself always. I’ll never be bad. I’ll help others and be good. I’ve never hurt anyone(mentally nor physically) and I‘ll never will. I’ll try and I’m sure will succeed in being a good girl for my full life. I don’t know why, but now when I think of the past when all my family used to give me a bad time, making me think and really making me a stupid girl, I have a feeling of hateness for them and I can’t be completely nice to them. But I should remember that during that time I was really stupid and what could they do if I couldn’t take care of myself. I should have been brave and taken care of myself and after all why to bother about it now that I’m brave and can surely take care of myself. But because somewhere in the past I’ve become somewhat different in my ‘swabhav’ from others. I remain thin no matter how much I try, somehow I can’t be satisfied. If someone insults me or something, I don’t know if I or somebody else was wrong and I always have self-pity and I feel somewhat inside me and as they tell ‘balav’ and everything I’ve eaten is nothing. No matter whatever it is I’ll be good forever and I’ll not allow the WORLD TO MAKE ME A BAD GIRL. I’LL BE NICE AND HAPPY. I’ll take care not to hurt anybody in my words, thoughts and deeds. I’m feeling so bored with life. Sometimes Malay(who has now become completely spoilt) tells me that I am a slow coach and tells Bhodu Ram. Today while we were going by train he freely said that I don’t like with Vibha and preferred Meena or Meeta Ben to me. I felt really bad. I have so many big hopes and happiness of life. But sometimes I feel so much self-conscious, which I’m sure I should take into account before telling how I want to be. In some of my clothes I look so bad and so thin that I can’t be happy and always feel bad about it. I don’t know why God couldn’t give me body and if he did not want to give me body why did he want to make me so much self-conscious about myself that I can’t even enjoy myself. I don’t have in my house anyone (except sweet Meeta Ben) who understands me, not even my mummy. She is always finding some reason or other to tell indirectly to someone who also has insulted her. Daddy is very understanding but then he is so busy. Malay is so small he just makes honest remarks and that is why his remarks trouble me the most. I will be a good, kind, helpful girl. I will not think of myself and thinking of others will help them. I will always keep smiling and I’m sure I’ll be happy. I think that I’m a real stupid girl. I have no character in me. I’m not a girl who has her own ideas. I believe everything in what others say and admit everything others say. I am no characteristic girl and the worst about everything is that I know that and even then I can’t improve. A characteristic person would if he wanted to go about and help people and give his life also for the others and I, I can’t understand others’ feelings and if someone comes to me for help I’m sure I’ll not be able to help. Therefore no one comes to me for help in their mental feelings. But how will one come to a person who herself does not know what are mental feelings. I’m in a real mess. Many small people have recently told me that I am clever in studies but I’m not at all intelligent i.e. I don’t know the common things. I felt very bad, but I always remember that this world will make you cry till you cry and so I just laugh it out. But when I’m alone and think of this I really feel that I must be so much wrong in my life. I’ll never make my name in this world. I think that I’ll never be the type of girl I’ve always dreamt of (like Daksha Faiba, Charu Ben, Mota Bhabhi, Harsha Ben). They all have good characters and are happy and can and have been up in this world. A PERSON WHO DOES NOT LIKE YOUR BEHAVIOUR IS NOT FIT TO BE YOUR FRIEND AND MAYBE YOU’RE NOT FIT FOR HER. IF YOU WANT TO FIND A GOOD FRIEND YOU’LL HAVE TO BE A GOOD FRIEND YOURSELF FIRST. Always keep smiling and never turn your face away from anybody and never hurt anybody and you’ll find the same behaviour from others to you. PEACE, LOVE AND FAITH ARE ESSENTIAL FOR GOOD LIVING. I should have peace in heart, and should feel confident about myself and have faith in God and if others don’t love me, I should love others and thus I hope I live good. Today, I don’t know. Mowadays I don’t know to behave only. I lose my temper at everyone and I can’t behave only. I’ll lose all my good things and all I’ll be left will be to remember my bad behavior at last and then feel sorry. I hope I can behave from now onwards. I feel as if I’m a stupid girl. Why, do you know, because I’m trying to be good. I be good and everybody insults me. I’m sure that if I start insulting people they will give me respect and stop insulting me. I get enough respect from good people when I’m nice. But there are very few good people left in this world who can do that. All have become selfish. All think for themselves and are least bothered about others. I’m not telling I’m perfect. I’m sure I’ll never become that even if I try my best. I’m not very clever in telling lies or taunting people. Because of this I’m happy. But I hope I had a strong character which I don’t. I’m a weak character and tell yes in what others say. I must from now onwards start sharpening my character. I should think positively and have confidence in doing the right things and do what is correct and correct myself if I’m wrong. Nowadays I’m a very happy girl. Though I do have trouble I know that life can’t be full of happiness only. If it was, I wouldn’t have liked it in my present condition. Now I don’t get sad and cry over what other people have told me. I know that as long as I cry the world will make me go on crying. I know that the people who like me are my friends and nice people, the others who always try to insult and make others look down upon me are not any of my friends and that why should I feel bad about what they say. They do not say that for my good sake and so I should not cry over that. I should remember that when others say something bad point which I have I should not go about trying to find something bad about the other person but I should try to improve myself and make good of the bad point I have. This will only make me a good girl and help others. I hope and I will never forget how the world treated me at first when I was timid and weak. Now, when I grow up I’ll never look down upon anyone. It is a good thing that I started a diary and I found someone to talk to and soon I was brave enough to know, around me who are my friends, who are trying to help me and enemies, who are trying to ruin me. In my troubled days I had never lost the hope to be nice and good to everyone. I’ll continue the same thing and find good people from the corners of the world and make them happy and make the sad, happy and inspire the people to be happy. To do this I should myself be happy and not be moody and sad. I should smile at everyone and share others happiness and I should make others happy when they’re sad and help them to overcome the sadness and be kind to everyone. I hope to remember everything that I wrote here every time I’m sad. I should remember that there must be many people sad like me and I should at once remove my sadness and go about making others happy. I’m sure this method will keep my mind off my own troubles and I’ll be happy along with the world. Now I know how I can live happily, but as usual I have my own suspicions and I’m so sensitive and if a person doesn’t smile I feel he/she is angry and I think that it was always some fault of mine and the worst is that I feel that I didn’t laugh at a certain person because I was proud even though I didn’t see the person. I feel that, that certain person must be feeling sad and unhappy because I didn’t smile at them. I feel as if everybody around me is as sensitive as me. But I should remember that there are very few persons who are as sensitive and those who think that something was their fault even though it may be others (like I do) I feel as if everything that goes wrong is a fault of mine (though it may be correct). But I’m trying my best and I’ll go on trying till I feel that I’m a nice and good girl in good people’s eyes. I should remember that if I listen and try to obey everything everybody says then my condition would be like that of the father and son who tried to listen to everyone on the road while going to sell their donkey and at last ended up losing their donkey. I should obey what good advice and try to make sense in what you think is bad and bring out the good in it. Somebody told looking at my hand that I use only my heart and not my head in making decisions. I think that is true and that I should use my head. We went to Ellora – Ajanta and we thoroughly enjoyed it. The atmosphere was peaceful and everybody was happy. In Ajanta and Ellora, the sculptures and paintings were beautiful and worth the traveling we had to do. It was really interesting to study the minds of the people 1400 years old. Nowadays I worry about such small, small things but I should remember that the world is so wide and there are so much things to learn and do that if I lose time like this doing nothing and crying the world will find me in the end only crying and nothing inside. The world must be telling me something because I really must be so. I should try to overcome my weakness. I should remember that lost time will never come back and I should make the best use of my time. But I become very self-conscious and because I’m very thin I feel as if I’m not the type of any common girl and I feel somewhat sad and I cannot help but blame my family for this (the most of me). When I was in the need for encouragement I was only given unkind words by my mother and sisters. Though now they understand and I am not the same type of girl now who cried when somebody shouted at me. Because of my childhood my swabhav became the type it is just now and I can’t completely change it. First when my mother used to tell me such harsh words I used to cry and my father and Meeta Ben didn’t use to tell anything but something intelligent but now they understand me and tell mother what is wrong in what she is telling and stop her rough tongue. Mother thinks as if she has to tell something even if its correct or wrong or whether it’ll hurt anybody and she’ll tell it without thinking of anybody. I hope I’ll not be like her. Mother is very nice in many, many ways. Her only weakness is that she can’t tell exactly what she thinks. She is very, very nice at heart and I think that everybody in my family is nice and if I could only live a little happily and non sensitively, I would be a happy girl in a happy family. But I think that this sensitivity I got is good because it keeps me in check and does not make me proud and remember that I should be nice to everybody. THIS IS MY LIFE AND I SHOULD LEAD IT FREELY AND NICELY. WHY SHOULD I GET AFRAID OF OTHER PEOPLE. THEY HAVE NO RIGHT TO SPOIL MY LIFE OR MAKE IT BAD FOR ME. All persons are come to live in this world. And why should they not live happily in their aim is to make others happy. If they themselves are not happy, how will they make others happy? I’ll remember that it is my life I’m leading and if I’ll not take care of it, who will. I should lead it perfectly and nicely. I should not make mistakes (though it will always come) I should make the best of it. This world is shrewd and selfish, it’ll make you cry as long as you cry and it’ll make you laugh if you want to (so you have good choice) If you laugh at the world, it’ll make you laugh more and make you happy. If you want to make others happy you’ll have to be happy yourselves. TRY – TRY . YOU’LL SUCCEED. KEEP SMILING. And the world will always think what you’re upto.